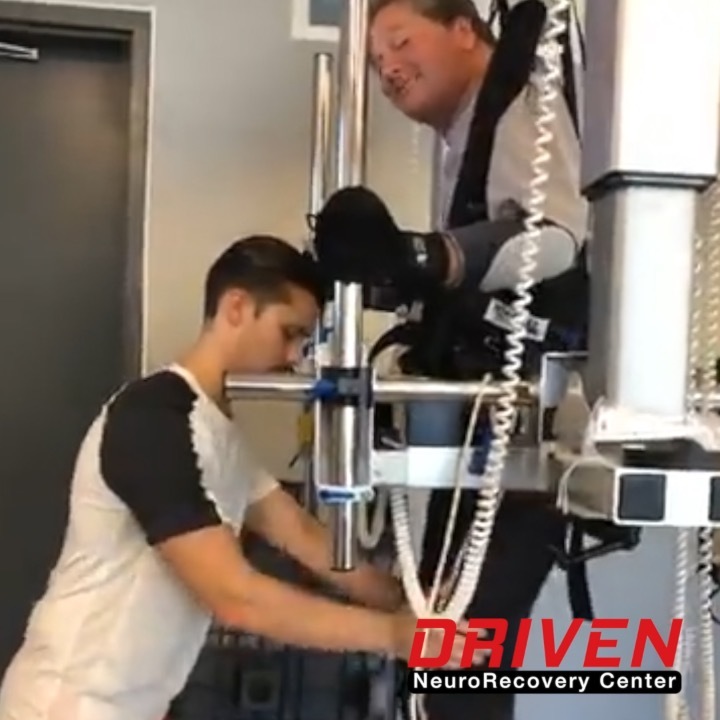 Neuromuscular electrical stimulation, an activity-based training, provides high frequency, wide pulse width, task-specific stimulation to generate a motor output while increasing the central state of excitability in the spinal cord. Neuromuscular electrical stimulation is provided via the Restorative Therapies Incorporated Sage unit with Xcite software and use of lead wires to 12 different muscle groups based on the targeted item from the Neuromuscular Recovery Scale. Tasks are performed with and without stimulation to transfer the improved neuromuscular capacity into the home and community environment. FES applies small electrical pulses to paralyzed muscles to restore or improve their function. FES is used to stimulate peripheral nerves, the “lower motor neurons” that connect the spinal cord to your muscles. FES can be utilized for muscle re-education, functional substitution, spasticity management or general health and wellness benefits. FES RTI-300 bikes are specially designed ergonomic bicycles which a person can use from their wheelchair, using electrical stimulation through electrodes to cycle with and without motor support. These bikes can be used for either arm cycling or leg cycling. The benefits of FES cycling are numerous—from aerobic conditioning to increased circulation, muscle tone, spasticity management, and muscle flexibility. Guided Activity-Based Training consists of 1-on-1 or 2-on-1 training with our activity-based trainers. Our trainers work to improve function, neurological recruitment and overall health. We also pride ourselves in creating a fun, supportive, progressive, and motivational environment with uplifting music throughout the facility.